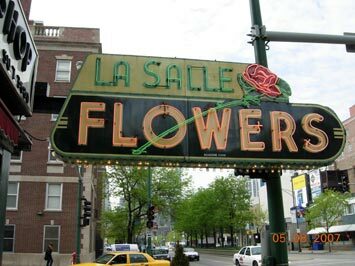 LaSalle Flowers has been a family owned florist on the corner of LaSalle and Superior since 1936. Today, LaSalle Flowers has continues the tradition of providing friendly customer service, beautiful fresh cut flowers, a wide selection of green and blooming plants, balloons and top quality plush animals. We also specialize in Weddings, Corporate parties and Corporate Weeklys. Our fully qualified and award winning designers are experienced in European, Oriental and Domestic designs. Conveniently located in the River North area. We offer same day delivery in Chicago and over 150 neighboring suburbs if your order is placed by 11:00 a.m. Orders outside our local delivery area will be charged a $6.00 wire out fee. 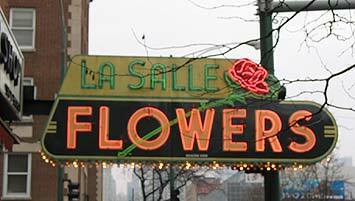 Let LaSalle Flowers be your first choice for flowers. Our shop serves the entire Chicago metropolitan area plus 150 suburbs. Orders outside our local delivery area will be charged an additional $6.00 wire out fee. If you have any questions or need more information, please contact us by e-mail at LaSaflower@aol.com or call us directly at (312)787-3680. We're always here to serve you and make your flower-sending experience a pleasure. TIMED DELIVERY REQUESTS ARE NOT GUARANTEED ON ONLINE ORDERS.